Copy Entity – Welcome! How can we help? Often a user has the need to copy an existing entity. A typical case for this is that a new entity is needed which resembles an already existing one. This way, the user skips entering in basic data again and creating items, documents and folders. Choosing the source entity (the entity from which to copy). Entering master data pre-entered from the source with opportunity to enter additional data. This feature is useful e.g. if a user wants to create a new entity which largely resembles an already existing one. 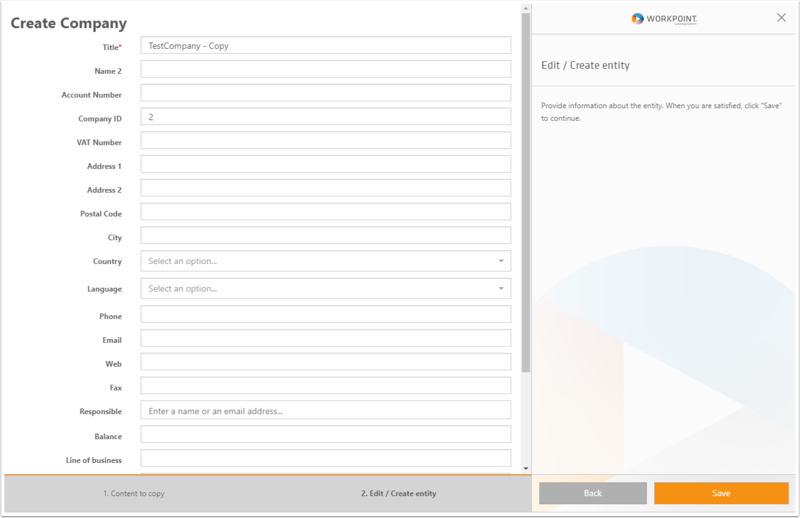 The user finds the existing entity in its business module list and clicks the “Copy Entity” button from the command bar. 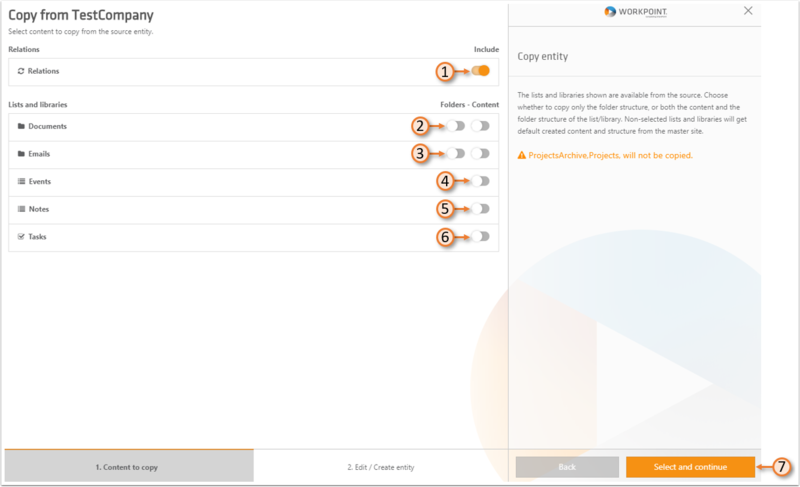 By doing this, the Copy Entity wizard opens, and takes the user through the steps to copy the entity, allowing the user to enter custom master data specific for the new entity. A valid Wizard Configurator license is required for this feature to work. Click to Home button of the solution. 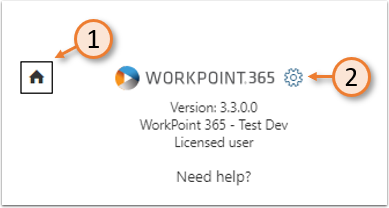 Enter the WorkPoint 365 Administration by clicking the cog-icon in the bottom of the menu. 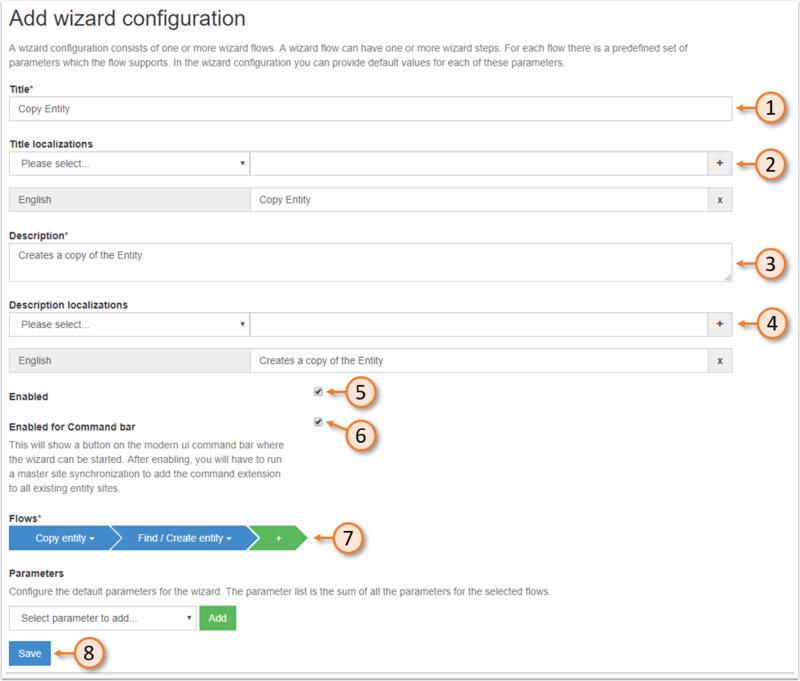 Enter the Wizard Configurator from the WorkPoint 365 Administration side menu. At the bottom of the Wizard Configurator, click “Add Wizard Configuration”. Set a title for the Wizard. Optionally add a translation to the title. Enter a description for the Wizard. Optionally add a translation to the Wizard description. Select the flows as shown in the image by clicking the green bar and adding the relevant flows. Finalize the creation of the Wizard by clicking “Save” at the bottom of the page. Select the business module for which you wish to create a copy entity-button. 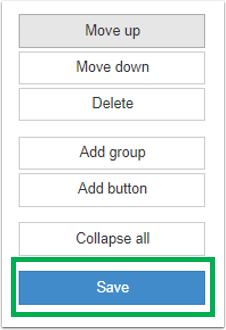 Select the button-group that the Copy Entity-button should be nested under. Click the Add Button-button in the menu to the right. Input a label for the button. Select an icon that represents the action to be made. Select the type. In this case, we want to run the wizard for copying an entity. Select the wizard that should be opened. 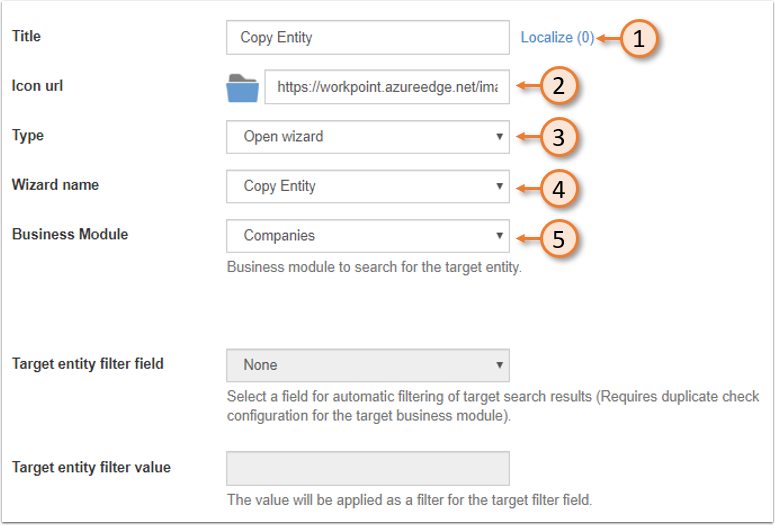 Select the business module to search through for the target entity (generally the same as the instance selected previously). The rest of the options are not relevant for this configuration and should be ignored. 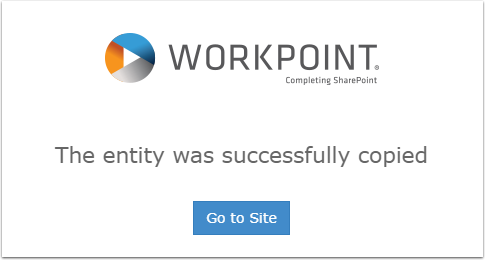 Before being able to see the new button, the WorkPoint 365 Browser Cache needs to be cleared. We go to the Companies business module list. We select the entity that we wish to copy. We open the Wizard by clicking the Copy Entity-button, which is accessible from the Command bar. 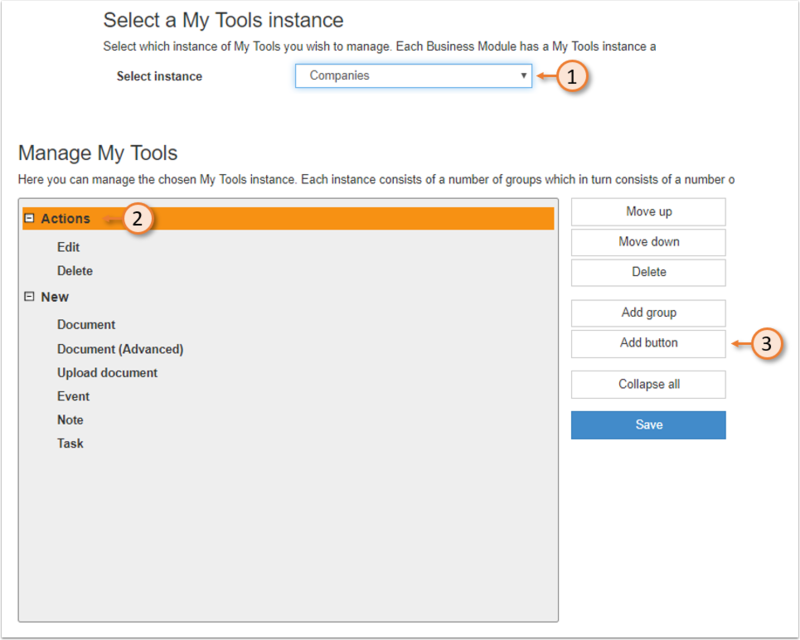 The first choice is whether or not to copy over existing relations from the business module. Relations can e.g. be contacts which are spread out on multiple companies and/or projects. The next choice is whether Documents list folders and/or folder contents should be copied. Note that you cannot copy content without copying the folder structure. Also note that documents and/or items with custom security permissions will not be copied. A case of when you could want to copy folders and not also items could be if you wanted to create a project that resembles the source, and the source has a complex folder structure that you also want, but does not need the items inside, then you can select to only copy over the folder structure by only selecting “Folders”, and deselect “Content”. The third choice is mostly the same as the second one but referring to emails. The same restrictions apply when copying emails as when copying document and/or items. This only refers to email libraries in WorkPoint 365, NOT Email Manager journals. The fourth choice is whether to copy over Events. The fifth choice is whether to copy over Notes. The sixth choice is whether to copy over Tasks. Once all choices have been made, and the relevant controls selected, you can click “Select and continue” to go to the next step of the Wizard.